Cellular Backup is installed inline with your existing payment firewall to provide seamless credit cardprocessing when your internet connection goes down. It can be connected to your entire site or toyour payment firewall only. 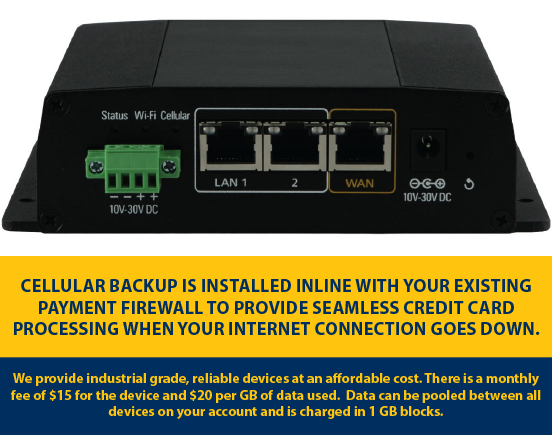 Connecting it to the entire site provides internet for back office PC, ATM,and other devices when your primary internet connection goes down.The Cellular Backup simply acts as a replacement device for your internet connection when yourprimary internet goes down. All data feeding the cell modem has already been encrypted. 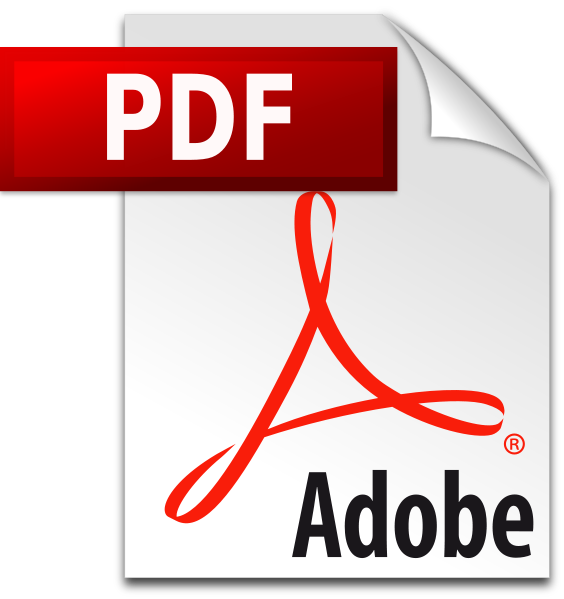 This canbe used in applications where conventional high speed internet is not available. The device is plug and play, but it is recommended that a technician install it if you do not feel comfortable installing an internet router. This device is POS agnostic. It will work with any POS device that uses the internet for credit card processing. You will receive an email alert letting you know the internet is down and you are on back-up. You will also receive an alert when the internet is restored.